With harvest continuing apace, please don’t forget about those crops already in storage! Having a clear sense of priority for each crop is an important aspect of effective store management, especially when the pressure is on from a workload perspective. First of all, let’s consider fresh crops. These should be coming towards the end of the harvest period and temperatures will be being pulled down quickly using whatever means available to arrest the development of black dot and silver scurf. The key to success is effective heat removal and maintaining the crop in a dry condition. If CIPC sprout suppressant is deemed necessary, then this should be applied within three weeks of harvest and before the crop reaches 7ºC. Just the one application is permitted so it is important to get it on well; avoid running fridges for 24 hours before treatment and just leave recirculation fans on to remove any temperature gradients. Processing crops should be being kept dry, cooled more steadily (around 0.3ºC/day on average) and, again, it will be important to get CIPC on early for maximum efficacy. Remember that the maximum dose is down to 42g/t this year as we move towards the pan-European rate of 36g which will be allowed from next season. Seed crops tend to have longer loading periods, on average, so here it is important to control the pull down and avoid building up big temperature differences between the crop already in the store and the crop coming in, otherwise condensation is at risk of forming on the cooler crop. This risk also needs to be managed when crops are being taken out of store or returned after grading, as will be the case in short term storage e.g. for export markets. A wide range of differing fungal diseases have appeared in samples sent to SBCSR this season; amongst them so far have been black dot, blight, pink rot, violet root rot and watery wound rot. Check out symptoms of any problems you spot with our online Pests & Diseases Tool at http://potatoes.ahdb.org.uk/online-toolbox/pests-diseases-tool or order one of our free Disease Wall Posters by calling 01406 351444. For any store managers contemplating CIPC treatments, the latest information on CIPC stewardship and best practice is available at http://cipccompliant.co.uk. The site also carries advice on how to ‘Be 2017 Ready’. And watch out for news of a new booklet which will be published early in the New Year to accompany more detailed guidance from PICSG on the use of ‘active recirculation’ as part of the CIPC application process. 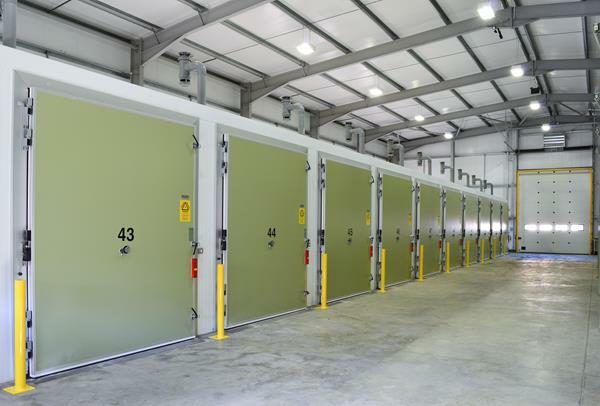 SBCSR has seen completion of ten new 6-tonne capacity storage units as part of its commitment to the new Crop Health & Protection (CHAP) Innovation Centre. The stores will be operated by CHAP Ltd and are now involved in a testing and commissioning programme. http://CHAP-solutions.co.uk or call SBCSR on 01406 351444. SBCSR is actively engaged in a piece of multi-partner research jointly funded by industry and Innovate UK which is striving to accurately predict airflows in potato stores using computational fluid dynamics (CFD) software. This offers great potential to be able to enhance performance of existing stores, a major objective of AHDB’s current Storage 2020 campaign. The trial runs until June 2017; we will keep you updated on developments! A one day course with a formal exam a couple of weeks later. Limited places. Hurry! Call 01406 359419 for details. 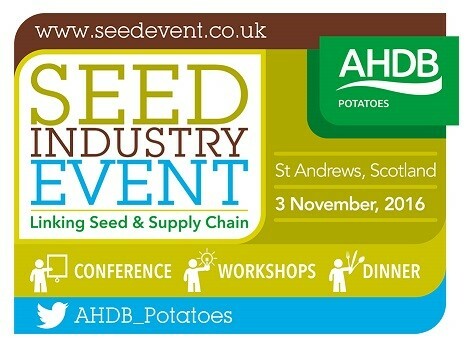 Remains a provisional date for the diary; further booking information to follow soon. Please register your interest by calling 01406 351444. Another diary date. Venue and programme details to be announced. A major knowledge exchange day on all things storage, to be held at Sutton Bridge. Save the date. Further information to follow shortly! How useful did you find this information? Only logged in users can vote. Click on a star rating to show your choice, please note you can only vote once.